Good morning, dear friends! 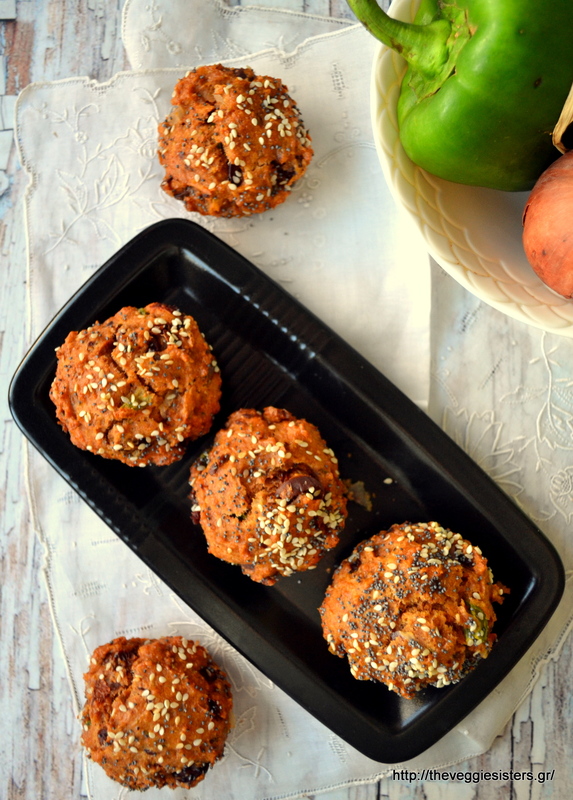 Today we ar making vegan savoury muffins with a mediterranean flair! They are absolutely mouthwatering, easy to make and of course healthy! It is a tailor made recipe for the Holmes Place menu. We were really excited to develop a recipe for this amazing club! They are ideal for snack at school or at the office. Try them and I am sure you will love them! Have a lovely day, everyone! In a bowl combine flaxseed with 3 Tbsp tepid water. Set aside. In another bowl combine flour, baking powder, salt, pepper, garlic powder, oregano and nutritional yeast. In another bowl combine milk, oil, tomato paste, flaxseed mixture. Beat with an egg beater until well combined. Pour the liquid mixture into the dry ingredients and stir to combine. Fold in onion, pepper, olives and sun dried tomatoes. Empty the batter into muffin cases and sprinkle sesame seeds and poppy seeds. Bake in preheated oven at 180 C for about 20 minutes. Remove from the oven, allow to cool and serve. Enjoy! 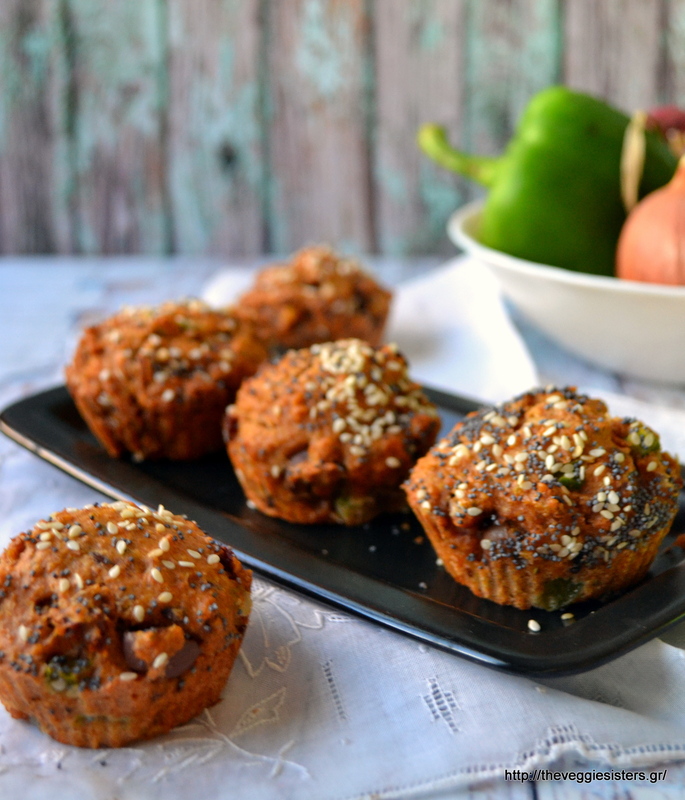 Share the post "Vegan mediterranean muffins"